The Kaine for Virginia campaign released a web video on Wednesday marking the 50th roundtable Tim Kaine has hosted since the beginning of the year. Since January, Kaine has traveled across Virginia to meet with small business owners, veterans, women, seniors, and community members to share his economic vision to create jobs and strengthen the economy through the Virginia strategies of growth, talent, and balance. 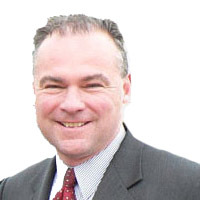 The campaign video features coverage from Kaine’s roundtable discussions in all regions of the Commonwealth including Southwest and Central Virginia, Hampton Roads, Northern Virginia, and the Eastern Shore. From Virginia Beach and Chesapeake, to Galax in Southwest Virginia, Leesburg, and Harrisonburg on down to Danville, Kaine has traversed the Commonwealth to hold these meetings. The Kaine campaign’s 50th roundtable will be held today in Williamsburg, where Kaine will talk with seniors about ways to strengthen Social Security and Medicare.